In a world where lingerie pieces and runway attires nimbly cost five digits, there’s nothing surprising about a woman ready to spend a huge lump of cash— or hand over her credit card— on a nice dress. But that level of luxury shopping isn’t available to all, especially for plus-size women, because the truth is, most luxury brands do not cater to their sizes. But all that changed in mid-2017—when 11 Honoré’s closet doors opened to serve curvy ladies. 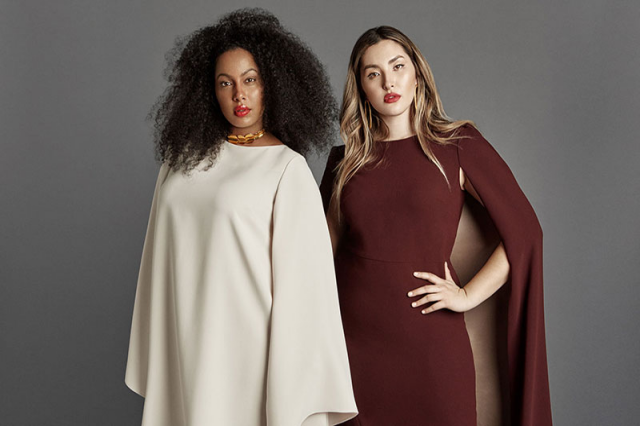 The launching of 11 Honoré, a high-end online retailer for sought-after luxury labels, in August 2017 is another breakthrough in the plus-size community. Under the commands of fashion brilliants Patrick Herning, fashion marketing expert, and Kathryn Retzer, former Vogue editor, 11 Honoré has since delivered luxury clothing that has never been available before to size 10 to 20 ladies. Herning and Retzer shared that they both drew their inspiration to create the then-small-time 11 Honoré from their plus-size moms who find it hard to find pieces fit for them because most brands refuse to expand their size range. If you think 11 Honoré is just for wealthy plus-size ladies, you’re wrong. The store offers designer clothes at a very low price too. In fact, they have simple crop tanks shirts that are sold for $70 and pants for as low as $160. They also have a Day-to-Night collection, which provides an array of pieces that are appropriate for either work or night-out use. Whether it’s a wedding or corporate event you are attending, 11 Honoré has all the luxury finds you need that are tailored by the world’s premier couturier. Currently, the online retail store is partnering with 72 top designers and brands in the United States, with Marc Jacobs, Jason Wu, Zac Posen, and ML Monique Lhuillier leading the pack. They also recently collaborated with Dodo Bar Or, Maison Ullens, Malia Mills, Mr$Mrs Italy, and ELEVEN March 11. The company plans to tap more potential partners that can provide clothes for women up to size 24. This way, more plus-size population will be regaled. Retail store 11 Honoré doesn’t want to be labeled just another online shop for women with curvy bodies. To inspire their visitors, their Page 11 section on the site has stories about fashion culture and beauty and shares the experiences of powerful people that aspire to reform the industry to become more body-inclusive. Since 11 Honoré entered the scene, they have received nothing but good reviews from curvy ladies who’ve been waiting for a shop that promotes body positivity and helps remind women and men alike that every shape and size is beautiful.